You might have noticed that Snapchat is gaining ground on Facebook. While Facebook remains the most popular mainstream social network in the world, Snapchat is still growing at an alarming rate and now boasts over 158 million daily users. Twitter is terrified of Snapchat, and Facebook should be too. Remember MySpace? Facebook obliterated it. Could Snapchat dethrone the technological giant that has dominated the media landscape for the better part of a decade? It looks likely, and here are a few reasons why. Everyone likes a bandwagon. If you see something becoming popular, you’re naturally intrigued about it and why all of these people seem to love it. A lot of people like to be early adopters, as if downloading the app before others is a badge of honor. Others just see it for its convenience in keeping up with mates. After hearing the question, “Are you on Snapchat?” numerous times, you’ll probably cave in (unless you’re a hipster who doesn’t like to conform). It’s the snowball effect. Snapchat claims to reach over 40 percent of Americans aged between 18 and 34 every day. In fact, Snapchat is the favorite social platform of teenagers Teenagers' Favorite Social Network Is... Snapchat Teenagers' Favorite Social Network Is... Snapchat Snapchat is now the preferred social network amongst teenagers. Snapchat is comfortably ahead of former most popular kid on the block, Instagram, while Facebook and Twitter are a long way behind. Read More . With such an incredible market share, it’s seen by many as the next evolutionary step for social networking. Facebook risks becoming seen as stuffy, and frequented by older generations. It’s only natural: each age group adopts media in new ways. Close Encounters of the Third Kind was 2001: A Space Odyssey for youngsters in the 1970s and 1980s. Harry Potter was the new Adventures of Narnia. It’s feasible that Snapchat is Facebook for a new generation. The average amount of time spent each day on social platforms continues to increase year-on-year. In 2017, the average adult in the USA spent a whopping 41 minutes on Facebook. Compare that to 26 minutes on Snapchat. These figures, from eMarketer, are projected to increase a minute each year in 2018 and 2019. It’s easy to argue that there’s more on Facebook to attract our attention. However, Snapchat’s userbase is more actively engaged; eMarketer notes that time spent with a network includes multi-tasking. In effect, this means that users might have Facebook open, but are actually looking at something else. This could be true of Snapchat, of course, but as snaps only appear for a maximum of 10 seconds, it’s unlikely. The Chat function, too, encourages engagement (especially compared to the number of people on Facebook using it merely to pass the time). In our battle against social media’s dominance over our lives, a less time-consuming alternative should be applauded. Here’s an area in which Snapchat is doing better already. In 2016, 10 billion videos were watched via Snapchat daily, compared to Facebook’s 8 billion. This is an astonishing statistic considering Snapchat doesn’t yet boast even half the number of users as Facebook. What accounts for this? It’s probably the Stories feature, which lets friends view videos and images for 24 hours after they were uploaded. The above stats don’t include the length of videos watched. The limit used to be 10 seconds. In 2017, that increased to 60 seconds; it’s played in 10-second steps, which skews any recent figures. You can edit these segments, so if you did something embarrassing in the middle, you can delete that part. Nonetheless, this ably demonstrates the immediacy of Snapchat—and its capacity to spread messages. Consumers retain around 95 percent of messages conveyed by video, in comparison to just 10 percent when it comes to text. Snapchat has fewer users, but they appear to engage more with content. 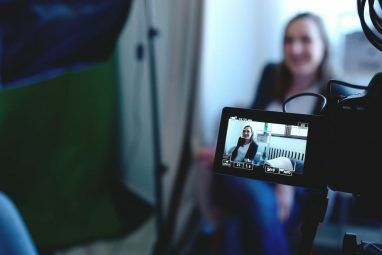 By 2019, it’s projected that video traffic will account for 80 percent of all consumer traffic online. As a growing market, Snapchat knows how to target the right audience and update its functionality accordingly. All of this evidence might make you think that Snapchat operates in a different arena to Facebook. The latter is a primarily text-based feed; the former is largely about images and videos, and caters for a younger demographic. However, Snapchat’s latest move puts it square up against Facebook. You can use the app to easily log into other services. This is something you’ve been able to do in the past through Google accounts and (you guessed it) Facebook. The move means convenience for Snapchat users, and direct competition for other social networks. You can use your Bitmoji and stickers across different platforms, meaning greater exposure for Snapchat. One of the feature’s launch partners is Tinder, the app which helps users find dates (but is rubbish at finding friends Tinder Is Awful for Finding Friends, Use One of These Services Instead Tinder Is Awful for Finding Friends, Use One of These Services Instead Plenty of resources on the internet will offer new friends, but only a few of them will deliver on the promise. Here are the best. Read More ). It’s a canny idea, uniting brands with similar aesthetics. The language of Snapchat will permeate to other mediums too, as Stories can be embedded into websites. What’s more, if you compare the policies of Facebook and Snapchat, even just on this issue alone, Snapchat comes out on top. Why? Because Snapchat limits the amount of personal data available to third parties. We can argue about whether any social media works to protect your personal data from slipping into the wrong hands. But right now, the spotlight is definitely on Facebook. Its privacy policies are being called into question with alarming frequency. It turns out that Facebook’s privacy scandals can be a good thing Why Facebook's Privacy Scandal Might Be Good for Us All Why Facebook's Privacy Scandal Might Be Good for Us All Facebook's mask fell following the Cambridge Analytica scandal, but it's not all bad news. Here's why it's a good thing this scandal made headlines worldwide. Read More , as they result in a lot of people re-evaluating what they put online. That means some users inevitably look elsewhere, preferably for a platform that’s more transparent with personal details. Snapchat, then, is a major contender here. This naturally bodes well for consumers’ rights. Things could change in the future, of course, but an app that has solid privacy policies built into its foundations is surely a good sign. Despite the evidence perhaps you’re not sold on the idea of Snapchat being the new Facebook just yet. After all, Facebook has been around for a long time, and over 2 billion people worldwide remain loyal to the social network. Nonetheless, Snapchat is easy to get into, and growing as a result. 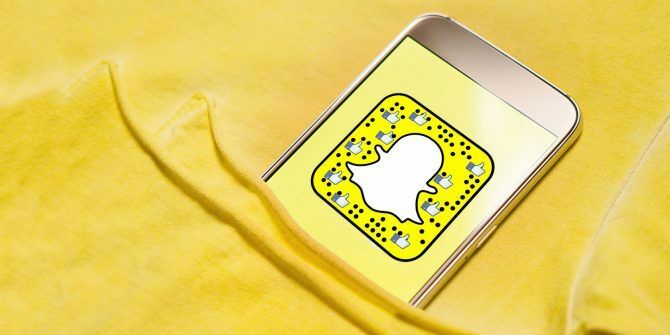 And if you need a hand getting to grips with it, here is our complete guide to Snapchat How to Use Snapchat: A Complete Beginner's Guide How to Use Snapchat: A Complete Beginner's Guide Snapchat is popular, but a surprising number of people don't know how to use it properly. This article will help turn you from a novice into an expert. Read More , which is suitable for both beginners and veterans. Explore more about: Facebook, Online Privacy, Online Video, Snapchat.